The Department of Justice has announced that 3M will pay $9.1 million to resolve the assertions that the company knowingly sold defective earplugs to U.S. servicemembers without disclosing the harmful product effects. The Dual-Ended Combat Arms Earplugs do not fit all users properly, and therefore have caused significant hearing damage for thousands of U.S. veterans. If you or a loved one experience hearing loss or tinnitus due to 3M Combat Arms Earplugs, you may be entitled to compensation. Contact Rainwater, Holt & Sexton to review your case, free of charge. The 3M Combat Arms Earplugs Version 2 were issued to the U.S. military between 2003 and 2015 with the purpose of suppressing noises up to 190 decibels. The dual-ended design was meant to provide two different types of ear canal protection – one side for blocking out all sound, and one side for blocking sound only known to significantly affect hearing, like explosions and gunfire. These earplugs failed to protect servicemembers because they did not reach far enough into the ear to protect it. Because the earplugs do not insert properly into all ears, they loosen and shift during use, allowing destructive sounds to enter the ear canal. 3M and Aearo Technologies, Inc., 3M’s predecessor, were aware that the earplug was not long enough to ensure necessary protection, but sold them anyway without proper disclosure to the government or users. 3M’s defective product and lack of disclosure caused physical harm for servicemembers, who now have the opportunity to be compensated for their injuries. 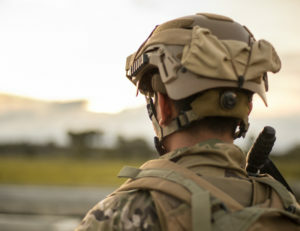 The 3M Combat Arms Earplugs cause tinnitus, or continuous ringing in the ear, significant hearing damage and permanent hearing loss for United States veterans. These symptoms can appear or worsen over time. If you are a U.S. veteran and have experienced hearing loss or tinnitus due to the use of 3M Combat Arms Earplugs, contact the attorneys at Rainwater, Holt and Sexton to see if you qualify for compensation for any hearing damage you have endured. This consultation is free and confidential – let us help you get the justice you deserve.